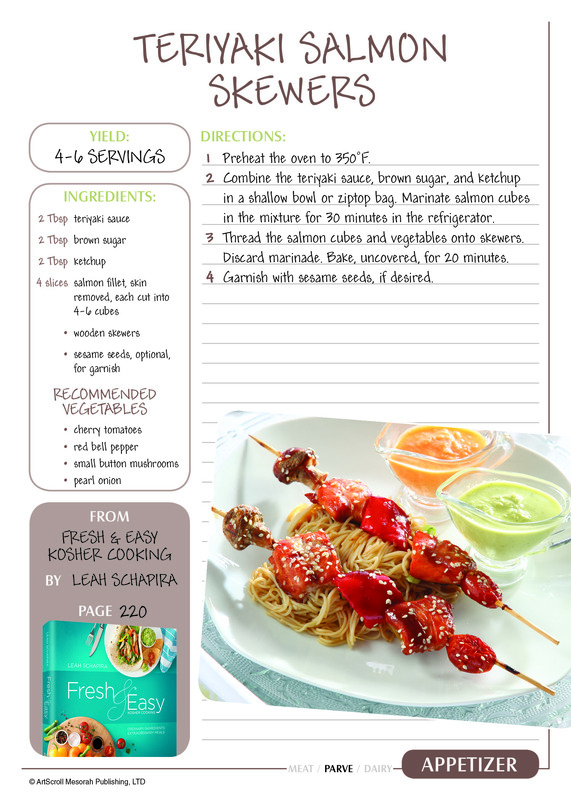 Treat your family and guests to a magnificent meal with six free recipes from ArtScroll’s best-selling cookbooks. 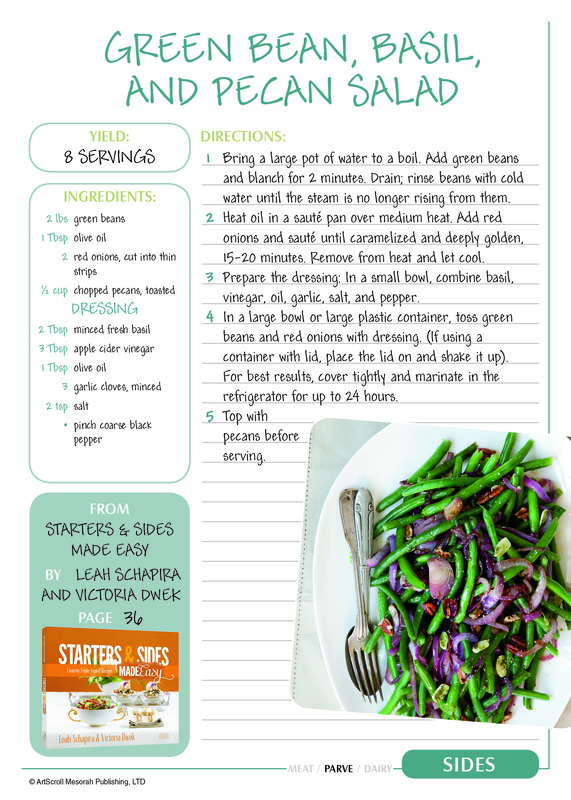 Scroll down for free downloadable recipe cards, or click the images below to view the individual recipes larger on your screen. Release date: 11/14/14. Click here to pre-order your copy. This innovative new cookbook is like nothing you’ve seen before. Veteran kosher food writers, Leah Schapira and Victoria Dwek take you on a global culinary tour of over 70 top kosher restaurants from all over the world. They’ll introduce you to the restaurants, the cuisine, and the chefs who produce the food. This book is filled with over 80 recipes, plus tips, tricks and techniques from acclaimed chefs. With recipes for special occasions and every day meals, all of which have been adapted for home use by Leah and Victoria, this book will soon become your new favorite. Keep on checking The Official ArtScroll blog as we’ll be sharing behind the scenes information, author interviews, and giveaways. 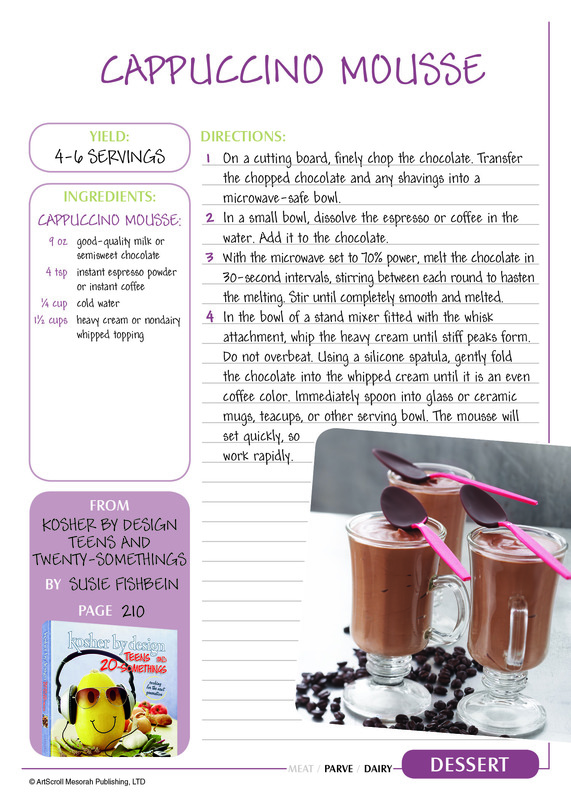 In the meantime, we’re giving an exclusive, pre-release recipe to our readers. 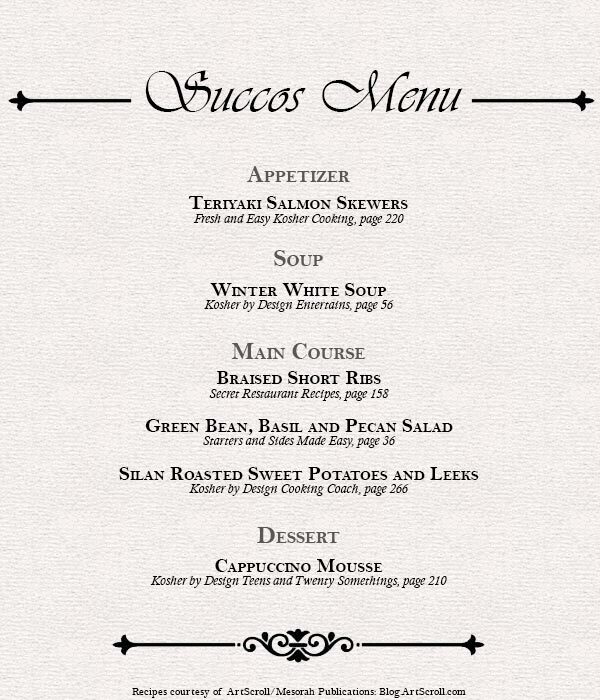 To further assist in your Succos meal planning, we’ve put together an entire menu from ArtScroll’s extensive cookbook collections – available as a free download! 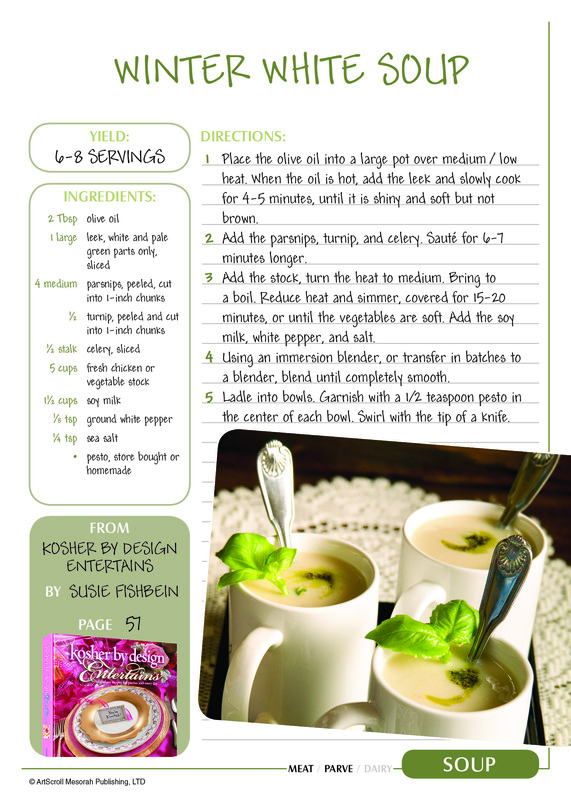 Scroll down for free downloadable recipe cards, or click the images to view the individual recipes larger on your screen. Click here to download all of these recipes. 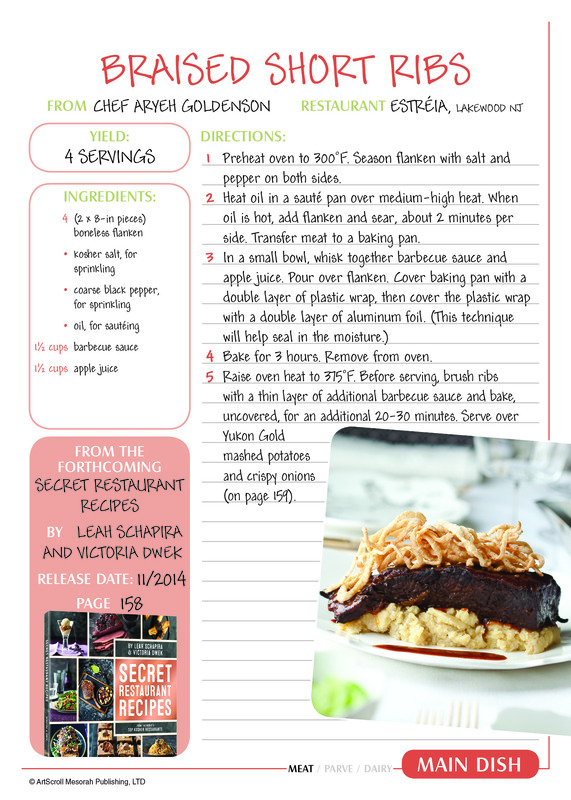 Click here to preorder your copy of Secret Restaurant Recipes. 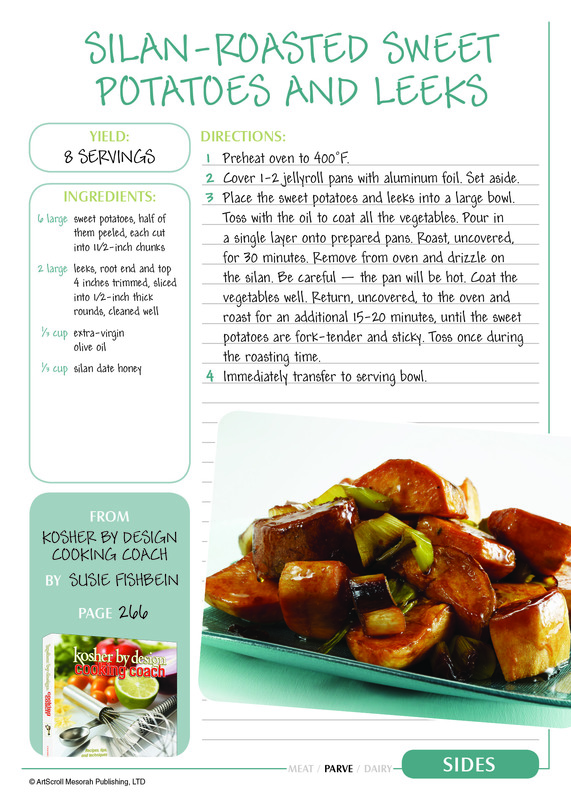 Click here to shop ArtScroll’s line of cookbooks. If you like these recipes, your friends will love them too! Please share using any of the sharing options below.